Tiana Esparon: Crop Your Way to Summer! It's officially June! This means the sun is (hopefully) on its way and ready to give us an amazing summer. Crop tops are a staple item for your wardrobe this summer. They're cute, easy to wear and a great way to show off your summer body. 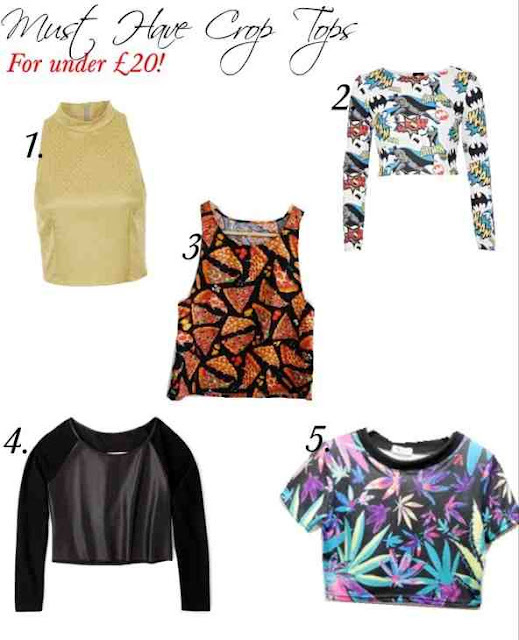 Here are my 5 must have crop tops for this summer.